Today's card is for the challenge over at Creative Moments. Be sure to stop by and see what the talented DT has for your winter inspiration. 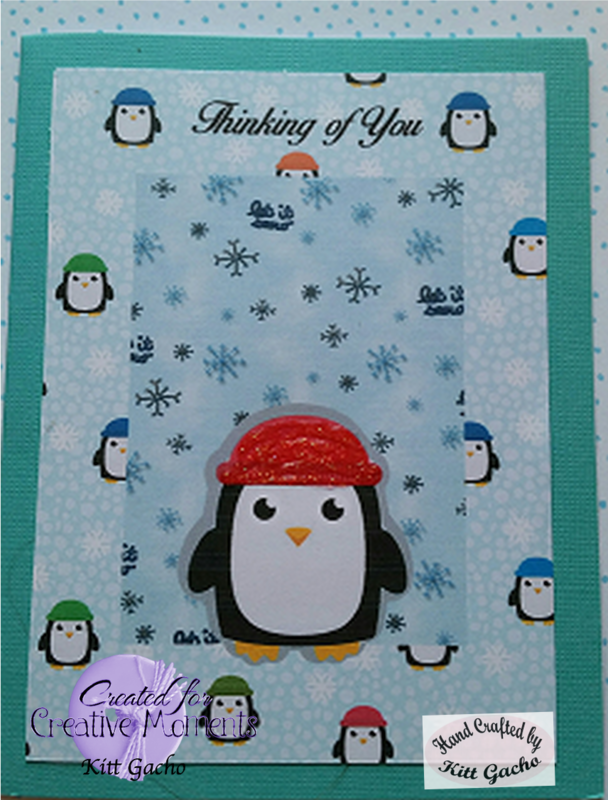 This is a totally digital image of paper and penguins. I used the Silhouette Cameo to print and cut out one of the penguins from the paper. I added a shadow to him to give it a more 3D effect. My grand daughter loves penguins and lives out of state. I think she would like this. The digital paper is from Decosses Dynamite Doodles. Be sure to stop by and see what the talented DT has for your winter inspiration. Thanks for stopping by and leaving your comments. I love hearing from you. Follow me along this creative journey as I plan to have more video's soon. Have a happy crafty day.